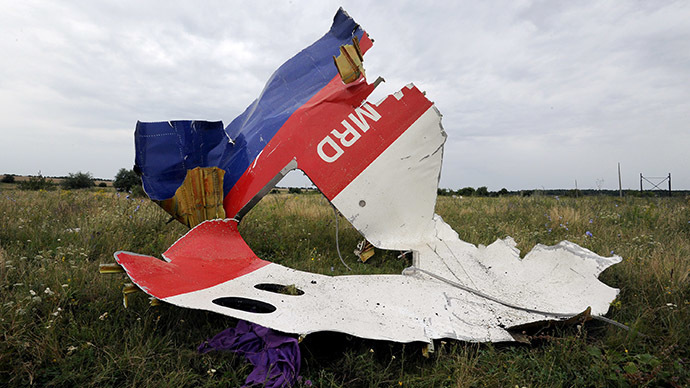 One of the passengers of the MH17 plane shot down over Ukraine was wearing an oxygen mask, Dutch Foreign Minister Franz Timmermans has said. This new revelation contradicts assumptions that all 298 people on board the plane died instantly. 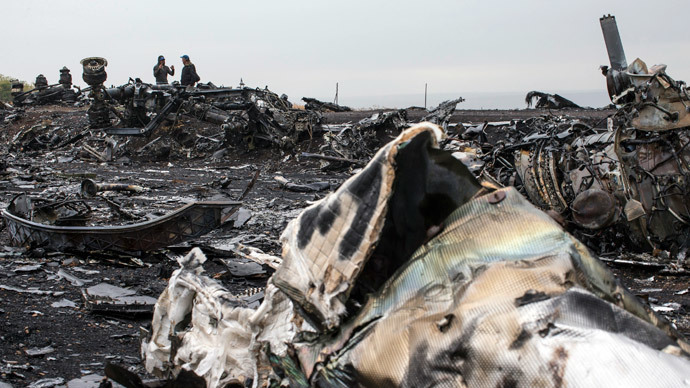 Timmermans’ comments suggest that the Boeing-777-200 shot down three months ago might not have fallen apart immediately after the aircraft was hit, killing all people aboard, if at least one passenger remained conscious and managed to pull an oxygen mask on. “People hardly had time to notice the missile coming, but do you know that one of the victims was found with an oxygen mask over their mouth?” Timmermans said Thursday, HOC TV channel reported. 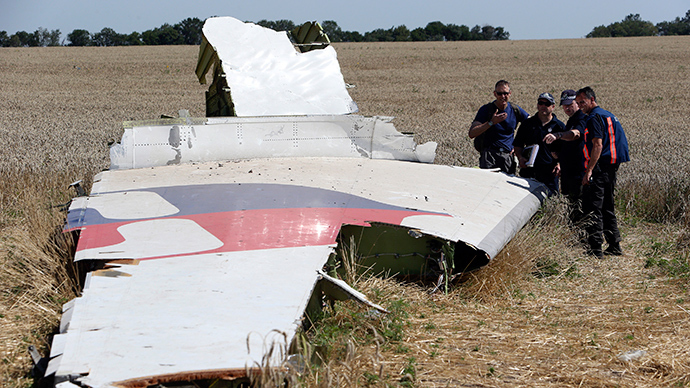 Dutch prosecutors have confirmed that one flight MH17 passenger, an Australian citizen, was found with the elastic strap of an oxygen mask around his neck. It is not known “how or when the mask got around the victim's neck,” AP quoted Wim de Bruin, a spokesman for Dutch prosecutors, as saying. Dutch prosecutors said that no other MH17 victim was found with an oxygen mask on. 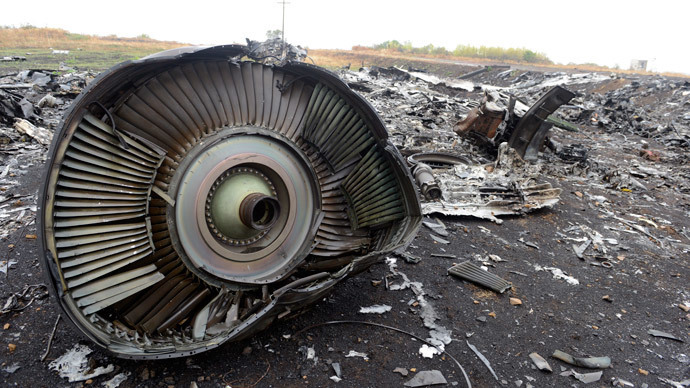 Magomed Talboev, Russia's former top test pilot, told Slon.ru that finding one MH17 victim with an oxygen mask on does not necessarily contradict previously assumptions about the immediate death of everyone aboard. 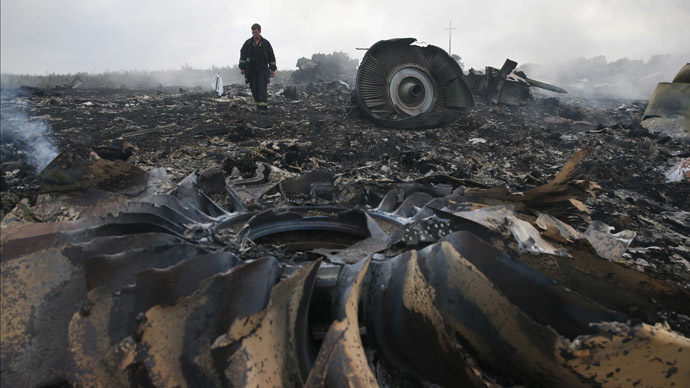 "A couple of seconds could pass before the plane disintegrated,” Talboev said. 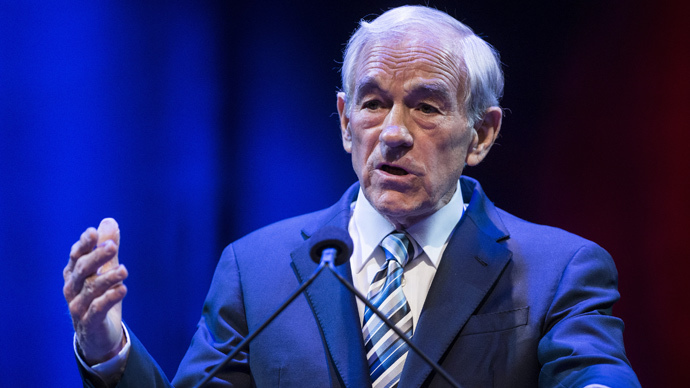 “This is enough to grab a mask that falls automatically in front of your face and put it on – this is [survival] instinct." The Malaysian Airlines plane was shot down on July 17, flying from Amsterdam in the Netherlands to Kuala Lumpur, Malaysia. It crashed near Torez, a settlement 60 kilometers from the Russian border, in the warzone where Ukrainian troops were fighting Donetsk self-defense forces. All 283 passengers and 15 crewmembers died. Because most of the victims, 196 passengers, were Dutch citizens, the Dutch Safety Board (DSB) is leading and coordinating the investigation of an international group of experts. Everyone onboard died instantly because of immediate decompression, the report said, without mentioning any use of oxygen masks. 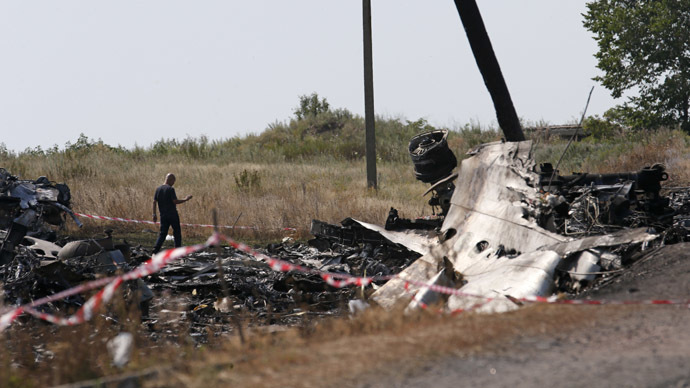 Because active military operations were continuing near the MH17 crash site, forensic experts were unable to recover evidence on the ground, and not all the bodies have been recovered three months on. After the Sept. 5 ceasefire agreement was reached between the warring parties, investigation activities at the crash site zone resumed. 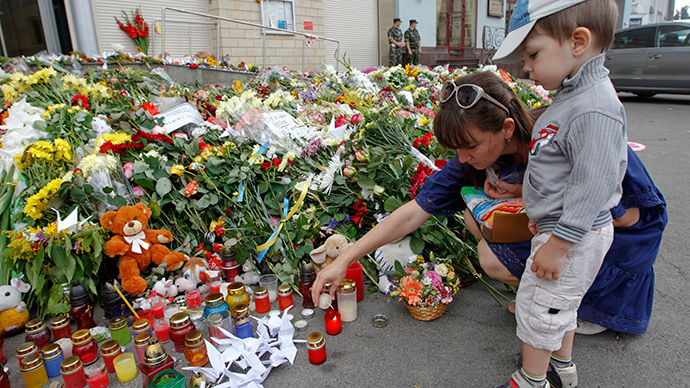 So far, the bodies of 251 MH17 victims have been identified by Dutch officials in The Hague.